Can / Should I Refinance? Next Generation Home Lead Generation Is Here! If you thought that generating more of your own quality leads was impossible, iLeads.com has the answer. Our Intelligent Web Properties are designed to help our Lending, Insurance and Real Estate clients generate higher quality leads in greater volume at a lower acquisition cost. Our site engines can be licensed to drive traffic to a partner site, or as an add on to your corporate site. Long form leads with 4 to 6 total consumer inputs! The highest data validity and accuracy on every lead! Substantially lower CPA’s vs. traditional lead capture! Real value! 30%+ returning visitor traffic! Interested in licensing our platforms for your use? 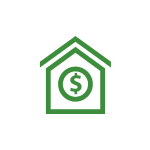 HomeLoanAdvisor is a first of it’s kind site that helps lenders generate high quality, low cost mortgage leads by analyzing a consumers home / collateral in real time. HomeLoanAdvisor is truly a next generation lead generation platform for lending. 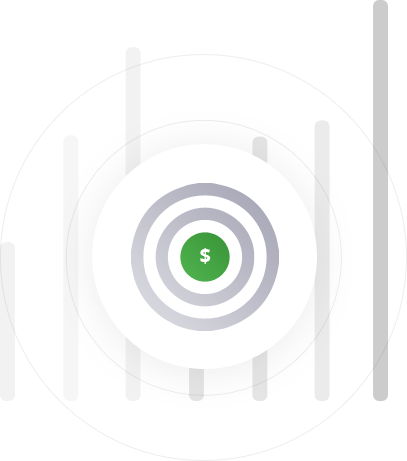 With real lending analytics on every lead, you’ll fund more at a lower cost per funding. In 3 seconds, NeighborhoodIQ generates an up to date property, equity and neighborhood report for consumers, and presents it in an easy to understand friendly format. Smart internet lead generation is about providing the customer AND the consumer value. Traditional Internet lead generation typically focuses on maximizing traffic down the funnel, with actual value or consumer intent a distant after thought. Enter a better mousetrap. Our sites offer real analytics in real time to both the consumer as well as our clients. Couple that with a free instant home report, and you have a value that keeps consumers engaged with your brand. Whatever means that you use to drive consumers to your sites, our intelligent web properties consistently out perform standard lead generationweb forms through all types of traffic including search, social, email, direct mail, and television. If you run a sales organization, you know that some companies are highly effective converting leads, and some are not. What’s the difference? Both the source of leads, coupled with the ability to close the ones that are winners before the competition! All of our Intelligent Web Properties utilize our data resources which cover nearly the entire US residential homeowner population. With data coverage like that available, you’ll never worry that we’ll miss, or not be able to give you the crucial guidance that enable more closings from every lead. Offering our client’s unparalleled value and convenience for their customer acquisition strategies since 1996. We’ll show you what 67,499+ past and current clients already know about iLeads.com…Success! Start leveraging the iLeads.com Intelligent Web Properties for your business today. Contact us to start a test campaign in less than 48 hours by clicking to the right or calling (877) 245-3237 now. Founded in 1996, iLeads.com® has roots in lead generation, but today we are far more than just a lead generation company. 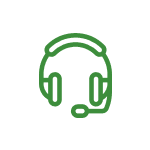 As a leader in customer acquisition solutions, lead analytics and custom data services, we help clients in Lending (origination and servicing), Insurance, Real Estate, Direct Mail, Telemarketing and Home Services introduce themselves to their new clients. Give us a few seconds. We’ll show you what your leads are really telling you.